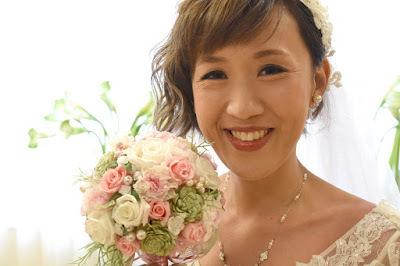 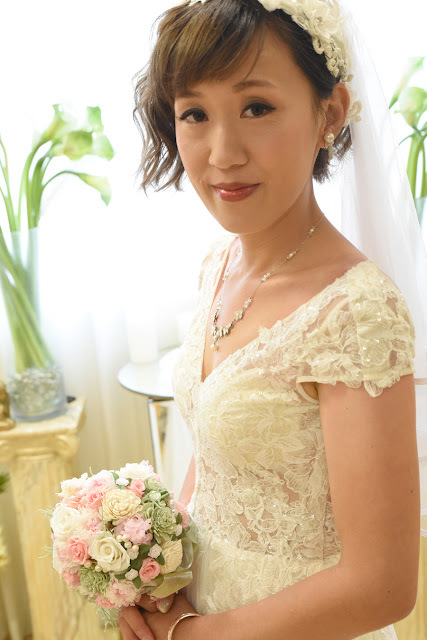 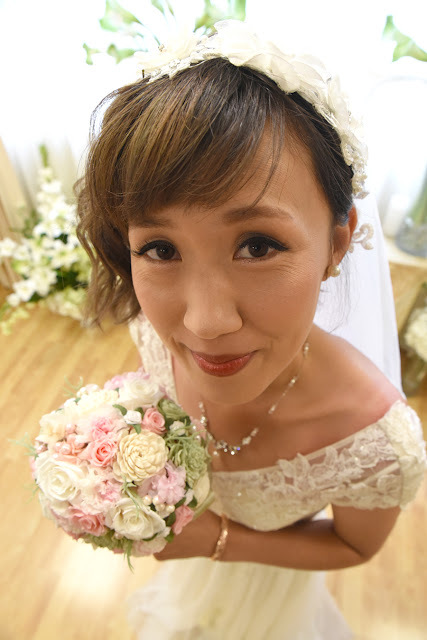 Love this high angle shot of Yoriko at the wedding chapel with her soft pink, white, and light green silk flower bouquet. 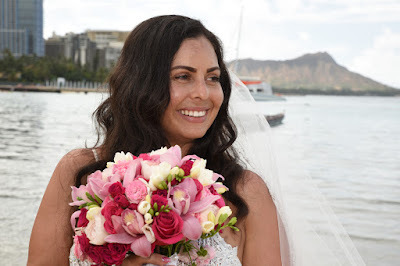 Jessica holds her tropical orchid rose pink and white flower bouquet. Browse through our flower selection and let us know the Bride's favorite colors and flower varieties. 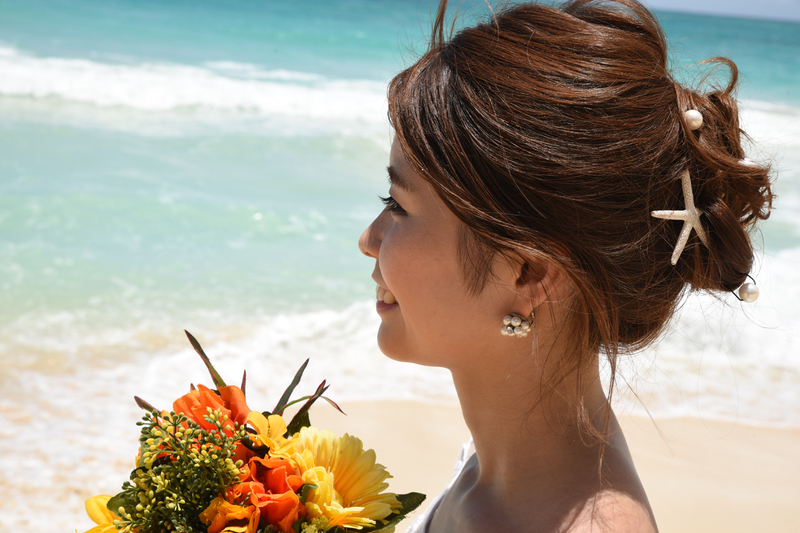 Will you be bringing your own flower bouquet, or would you like to order flowers in Honolulu? 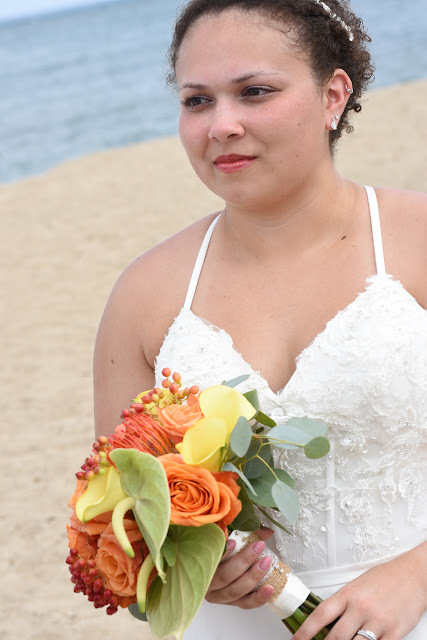 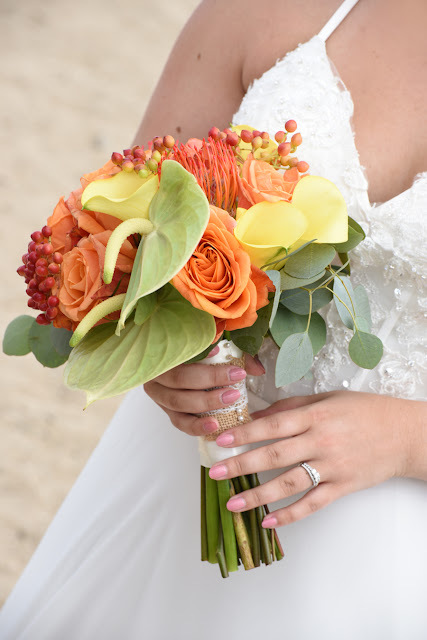 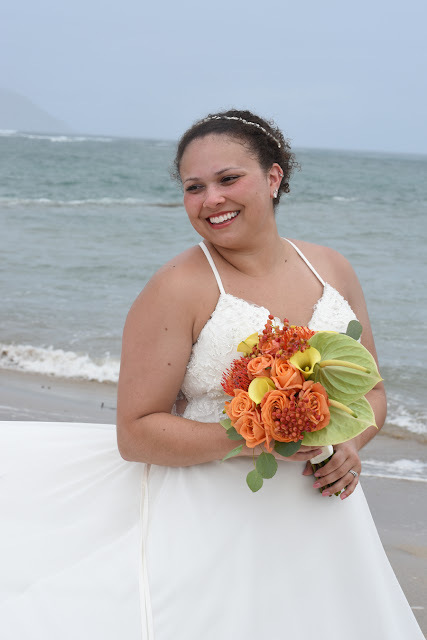 Give us a call at 808-924-3600 for Bridal bouquets and flowers.